That’s right, that office staple of today was invented by the US’s third president. 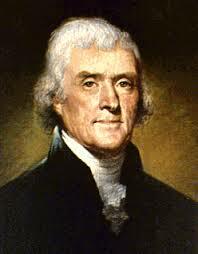 Jefferson bought an English-style Windsor chair (the ones where the legs and the back are put into drilled holes) from a Philadelphia cabinet maker. He then modified it so that the top and bottom parts were connected by a central iron spindle-enabling the top half known as the seat, to swivel on casters of the type used in rope hung windows. 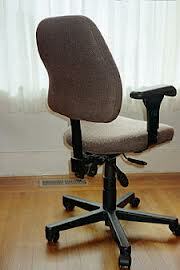 And thus the first swivel chair was born.When the Second Continental Congress met in Philadelphia, Jefferson’s swivel chair is purported to be where he drafted the United States Declaration of Independence in 1776. Jefferson later had the swivel chair sent to his Virginia plantation, Monticello, where he later built a “writing paddle” onto its side in 1791. 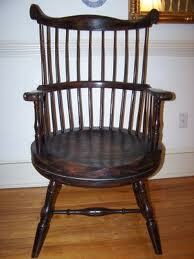 Since 1836, the chair has been in the possession of the American Philosophical Society located in Philadelphia. This entry was posted in books, interesting ideas, photography, travel, Virginia and tagged Charlottesville, Home, Interior Decor, travel. Bookmark the permalink. this is very interesting. he was such a unique man. I would definitely put Jefferson in my 10 list of historical figures I wish I could meet.